Luis Enriquez of LouE. Photo is a Toronto based photographer. His work has been published in various media and incorporates fashion, wedding, portrait, event, commercial and fine art. 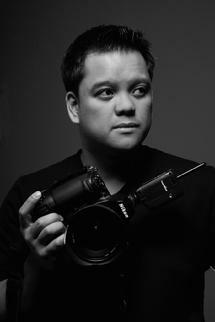 Driven by a passion for photographic excellence, Luis creates compelling images on location and/or in the studio. I find the art of photography both powerful and dynamic for it's ability to provoke an immediate and visceral emotion. I find the act of photography both peaceful and contemplative because of it's ability to transport and transform.